Thank you for choosing us for your Atlas game server! Important Info / Tips, Please Read! After a short period, usually 2-10 mins you&apos;ll receive an email with the login details to your control panel and that your server has been setup. You may receive this email before its finished, at which point you&apos;ll get a "Processing" notice when you try to do anything, please wait, and it will complete. 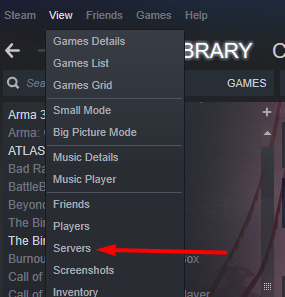 The server is setup default to use 4x4 map, so you can have up to 16 servers on this map. You can have any amount, you dont need the full amount, and you can add / reduce at any time. As this is a new game, our control panel config for it is new and therefore we may be missing features. Please just contact us. if you notice anything and we&apos;ll add it! This game is in Early Access, so please be aware that there may very well be bugs and issues with the game that are completely outside of our control. Enter the Query Info of your server (as shown in the control panel) into the "Add a server" box.